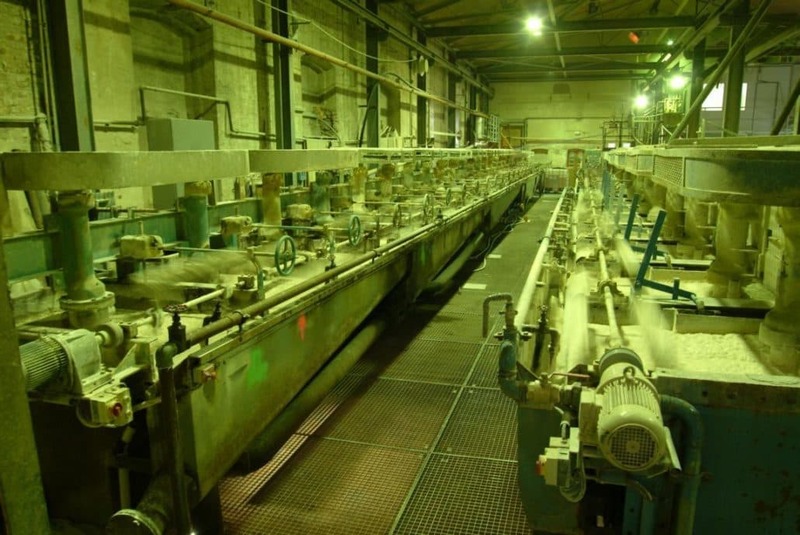 The crude-ore, extracted from the underground mine some 13 kilometers away, is crushed, classified and washed at the processing plant in Wolfach. The coarser fraction undergoes a double-stage heavy-medium separator. The fines are split up according to density by spiral separators and are subsequently dewatered. 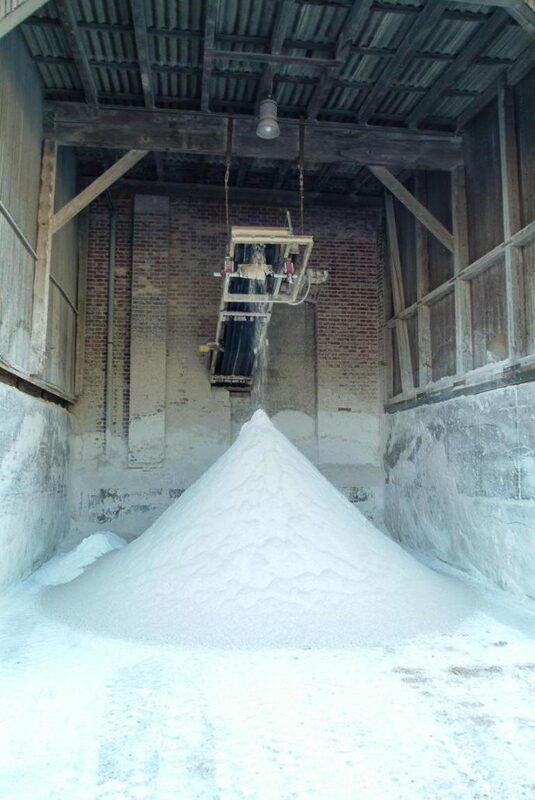 A part of the rougher concentrate, resulting from density separation , is feed to the wet grinding at the flotation plant. 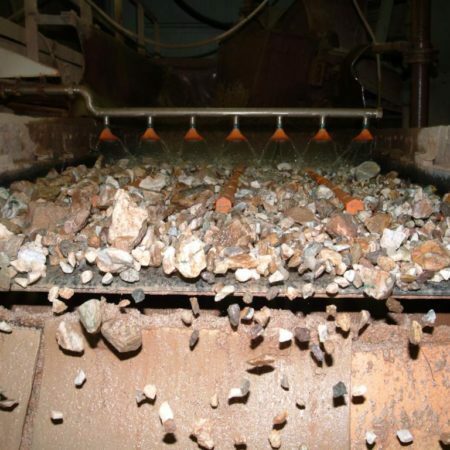 Fluorspar-, and Barite-concentrates, with concentrate grades of 97 % are produced by multi-stage flotation. Fluorspar-concentrates, for the production of hydrofluoric acid (acidspar) are ready for shipment after mechanical dewatering by vacuum drum filter. 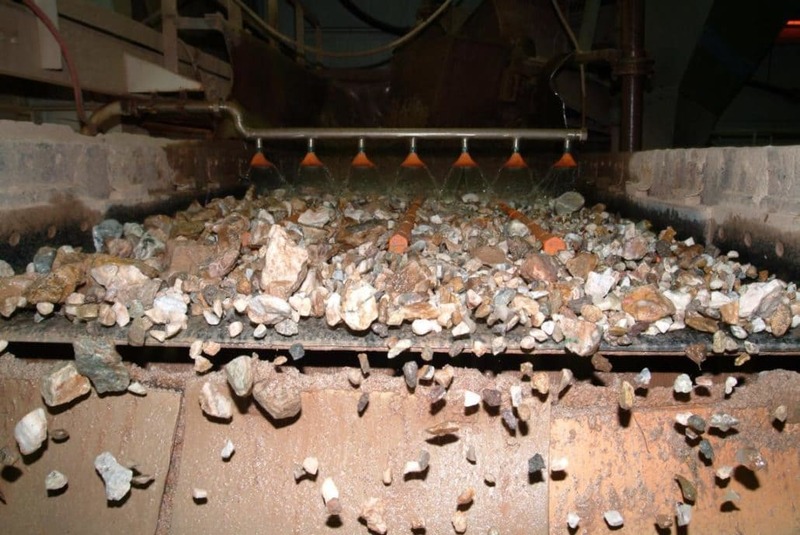 Dried fluorspar concentrates are shipped in bulk, by silo trucks, respectively bagged into paper sacks or big bags after thermal drying and protective screening. Likewise, Barite concentrates are dried mechanically, followed by thermal drying. Another portion of pre-concentrates, gained from the density separation, undergoes thermal drying without further substance concentration. 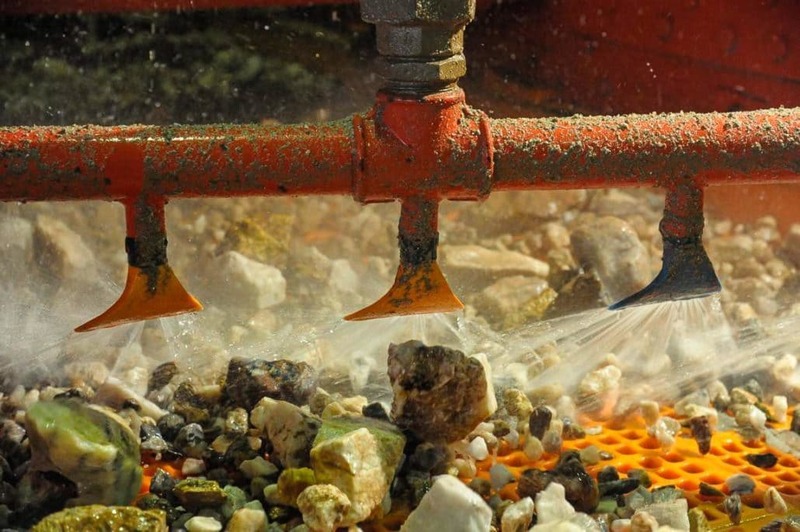 As well as the barite concentrates from flotation, those products are finally milled by various grinding- and classifying facilities to specific fineness (ground barites). Ground barites are shipped in bulk, by silo trucks, respectively bagged into paper sacks or big bags. A third part of products from density separation are loaded to dump trucks in bulk or are bagged into paper sacks or big bags after classification to an aggregate for concrete with special features, conforming to standards. The constant monitoring of all production processes guarantees the high level of product quality and our reputation as a reliable supplier.